The world is a little less funny now. 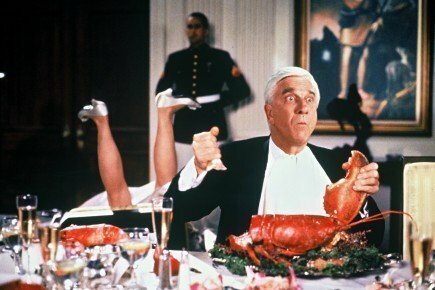 Actor and funnyman Leslie Nielsen passed away over the weekend, after a short battle with pneumonia. He was surrounded by his friends and family. “We are saddened by the passing of beloved actor Leslie Nielsen, probably best remembered as Lt. Frank Drebin in The Naked Gun series of pictures, but who enjoyed a more than 60 year career in motion pictures and television,” read a statement from Nielsen’s rep. Since news broke of Nielsen’s death, there has been an outpouring of condolences and love. Priscilla Presley, Nielsen’s co-star in the Naked Gun movies, shared her sadness in a press release on Monday. Leslie Nielsen leaves behind his fourth wife, Barbaree Nielsen, as well as his two daughters, Thea and Maura, who he had with his second wife Sandy Ullmann. 50 queries in 0.856 seconds.